LEADERSHIP-MANAGEMENT SYNERGY - Synergize Management and Leadership Roles, Managerial Leadership. 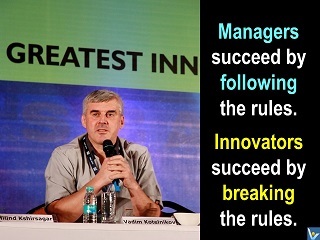 Management by Leadership. To maximize your long-term success you should strive to be both a manager and a leader and to synergize their functions. Merely possessing management skills is no longer sufficient for success as an executive in today's business world. You need to understand the differences between managing and leading and know how to integrate the two roles to achieve organizational success. → Leadership works on the system.